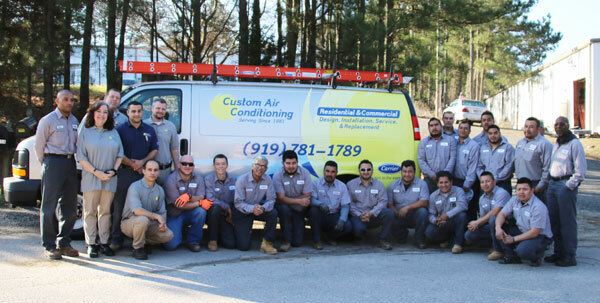 Custom Air Conditioning, based out of Raleigh, North Carolina since 1981. We specialize in HVAC service, design, installation and replacement. We strive to obtain a positive, long lasting relationship with our clients. Custom Air Conditioning takes pride in our work and trade. We service all HVAC brands and install and or replace the following: Carrier, Lennox and Trane.